Clay Lopez is originally from the Charleston, West Virginia area. Following high school, he earned a Bachelor of Arts degree from West Virginia University in Morgantown, WV. After graduating from college, Clay enrolled in the Capital University School of Law located in Columbus, Ohio. Clay was licensed to practice law by the State of Ohio in 1999. After graduating from Capital University, Clay was employed as an Assistant Prosecutor for Franklin County, Ohio. Working for Prosecutor Ron O’Brien, gave Clay tremendous experience in and out of the courtroom for approximately 8 years. As a prosecutor in the Juvenile Division Clay worked on Abuse, Neglect and Dependency cases as well as prosecuting minors in delinquency cases. Clay has handled all levels of juvenile offenses from Disorderly Conduct to Murder that result in minors having been “bound over” to Common Pleas Court to be tried as adults. Clay also served in the Grand Jury Division where he was responsible for evaluating cases and preparing cases to be presented for felony indictment. On Adult Trial Staff (specifically the Drug Unit), Clay was responsible for prosecuting all levels of felony offenses. Since leaving the Prosecutor’s Office in 2007, Clay has been in private practice. He has focused his practice in the areas of criminal defense and juvenile law. Clay works in all areas of criminal defense including, mayor’s courts, county courts, and municipal courts – misdemeanor and OVI/OMVI and all felony cases arising in common pleas courts. In private practice, Clay travels the State of Ohio working for clients that are in need of a strong defense and protecting people who have been persecuted by the police and the government. Additionally, Clay represents clients in divorce and custody matters throughout Ohio. 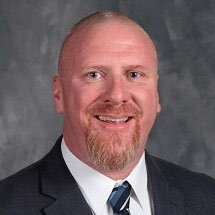 Outside of the office, Clay serves on the Board of Education for the Pickerington Local School District. He is married and devotes much of his time to his family and the athletic events of his children. Clay Lopez is licensed to practice throughout the State of Ohio and in the United States District Court, Southern District of Ohio. He is also the Chairperson for the Columbus Bar Association, Criminal Law Committee.